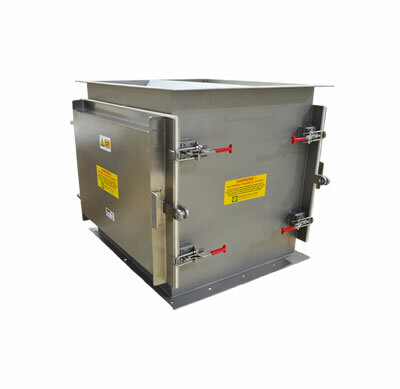 The Semi-Automatic Easy Clean Magnetic Grid Box from Greenwood Magnetics is an inline magnetic separator for use in vertical chutes for the efficient extraction of ferrous particles in powder or granular materials being processed. 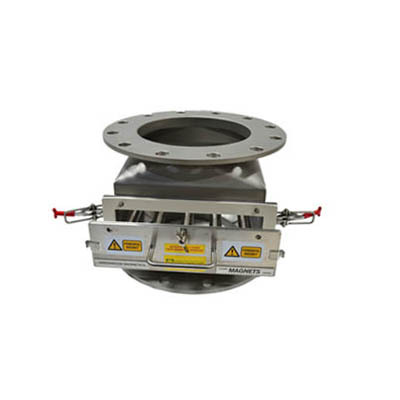 This equipment is manufactured with rare-earth magnetic material, tested and certified to 12000 gauss on the contact surface. It has powerful magnetic forces and is commonly used in the food and pharmaceutical industries. This Grid Box has a double row of magnetic rods which are offset for maximum effectiveness. However, this product can also be specified with a single row of magnetic rods to suit the customer’s requirements. 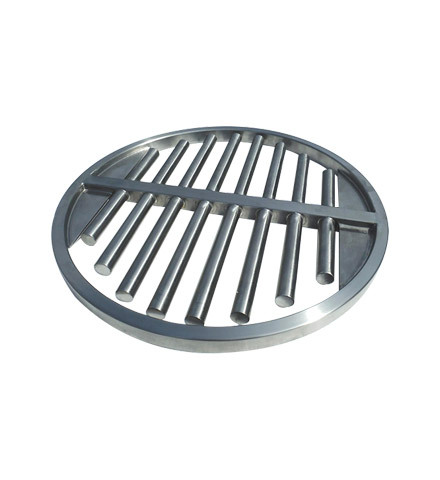 This Magnetic Grid Box has a semi-automatic feature which makes the cleaning process of removing ferrous contamination from the magnetic rods both faster and easier due to the “scraper plate” design technology. Once the safety nuts or stainless star knobs have been removed and the quick release clamps opened, the encased springs will automatically push the scraper plate forward to a set distance. 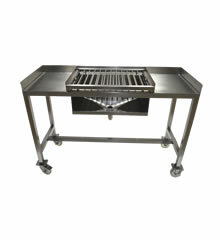 From that point, the drawer can be pulled to the maximum distance, without fully removing it from the main housing. As the magnetic rods slide forward, the scraper plate traps the ferrous material which automatically falls into the catch chamber below. 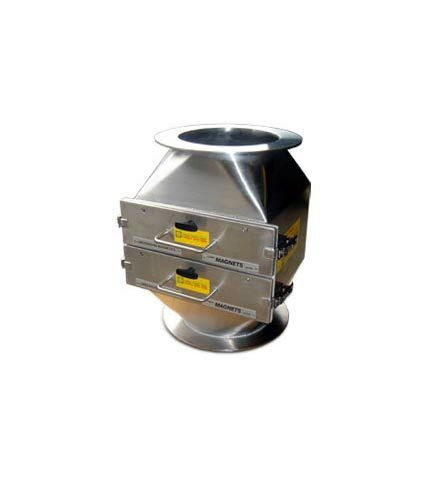 The catch chamber which has collected the metal contamination can then be easily removed, and the metal retained for analysis. This process means that the drawer does not have to be completely removed from the main housing, ensuring a safer and more efficient method of cleaning. This removes the risk of accidents and reduces cleaning operative downtime. The 3D animation below demonstrates the cleaning process. As an option, the Grid Box can also be fitted with safety switches. Inlet and outlet connections are designed to suit our client requirements meaning additional adapters are not required. © 2019 Greenwood Magnetics Ltd.